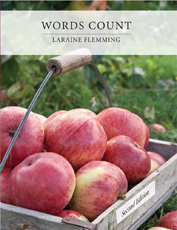 This new edition of Words Count—like its more advanced companion text Words Matter—offers the same contextual approach to vocabulary building used in the previous edition. A common theme or thread such as money, crime, friendship, or love links the words introduced in each chapter That common link makes it easier for student to compare and contrast the different definitions. Through learning words connected by a general theme, student readers can more readily create the web of connections that ensures long-term remembering. Yet despite the book's reliance on the same learning principle used for the previous edition, there is much that is new to the second, including a brand-new co-author, Professor Dina Levitre of the Community College of Rhode Island. New to this edition are also chapter self-tests that introduce words in the context of sentences, so students can get an approximate definition before learning a more detailed and more formal one. The second edition also ends each chapter with a Brain Teaser feature that asks students to determine the meanings of new words within quotations or specialized contexts. Pre- and Post-Tests: Every chapter ends with pre- and post-tests that make it easy for students to chart their progress..
Abundant Practice: Each chapter offers four different types of exercises ranging from multiple choice and matching to true or false and fill-in-the-blanks. Controlled Sequence of Exercises: The exercises have been sequenced so that students move from the more cognitively simple, like multiple choice and matching, to exercises that require more complex kinds of thinking such as labeling statements true or false, e.g., "An extravagant person always buys on sale." Memory Pegs: The entry for each word includes a specific strategy for ensuring long-term remembering. Expanded Context: Because clues to unfamiliar words often come from the whole passage rather than just a single sentence, every chapter contains two extended readings that require students to fill in the blanks. Common Idioms: Each chapter contains one or two related idioms. The chapter titled "Money Talk," for example, introduces the two idiomatic expressions "in the red" and "in the black." Numerous Chances for Review: Words introduced in one chapter reappear in later ones so that students have plenty of chances to see the same word in a number of different contexts. Mastery Tests: Fill-in-the-blank tests for each set of ten words are available in the instructor's manual. Complementary Text: Words Matter, which can be used on its own or as a follow-up text to Words Count.